We have the resources and skills to build your project for you. We can complete most landscaping jobs for you. We also offer Hard Roofs, Add a Rooms, Decks and Railing, TRS Jacks, Slide Out Covers and Custom Built Sheds. Enjoy the outdoors, sharing a cocktail with friends or dreaming the day away with your coffee and newspaper. Our patented interlocking roof panels are available in 3″, 4″ or 6″ thickness. Continuous foam insulation makes for the quietest roof system on the market today. Maintenance free aluminum gutters, fascia and posts make a Precision Hard Roof the perfect place to gather with your family and friends to relax in your new outdoor space. Transform your house or RV with the addition of a Precision Sunroom. Custom designed, built to your specifications, a Precision Sunroom can be installed on your existing patio or deck. We offer a 2″ aluminum maintenance free sunroom, which makes a Precision Sunroom the best choice for your home or RV lifestyle. 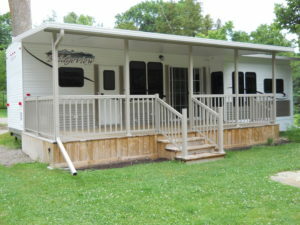 This beautiful extension of your home or RV will provide the needed space for your family and friends to gather for evenings of relaxation and fun while adding value to your property. Add extra living space to your RV with an add a room. We are an authorized dealer for this product. There are a variety of different models to choose from depending on your needs. A great addition to your patio or deck. Custom made to fit your application, Precision Railings are made of maintenance free aluminum, featuring polished tempered glass. Our large 3″x 3″ posts with a decorative top cap and base cover have a clean and professional look. Precision Railings add a finished look to your project. 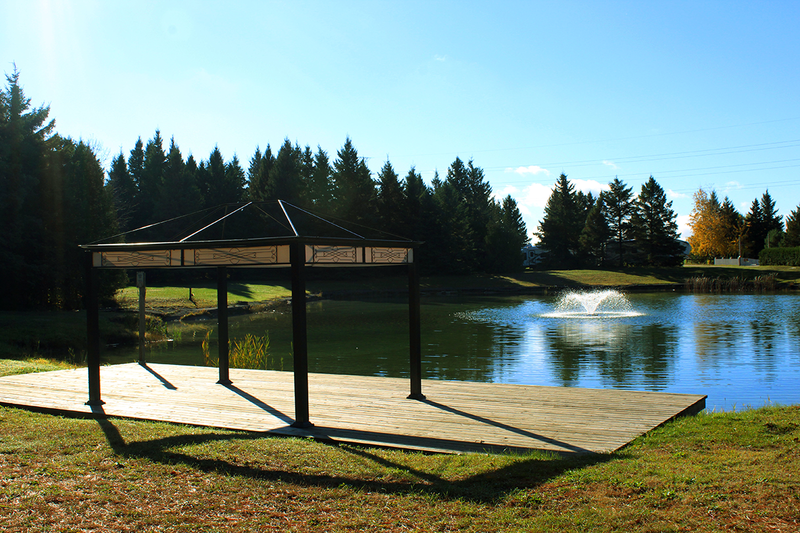 We have built and installed many decks here at Country Gardens and are able to customize a deck to fit your needs. From dog gates to accessibility ramps, we can build it for you. We can even install a deck with a railing to match your Hard Roof. TRS Jacks are a safer and easier method to level and support RVs, decks and cottages. Other materials will move around over time, while the TRS Jacks will stay in the location they are placed. The base is designed so that it compacts the earth beneath it, eliminating the need for a base. They are built to last, being constructed of cast and ductile iron. With TRS Extensions you are able to reach higher heights and still have a level trailer. Extensions will reach up to 4 ft. Precision Sunrooms has you covered with their Slide Out Covers. They are designated to protect slide outs from harsh weather and water damage. 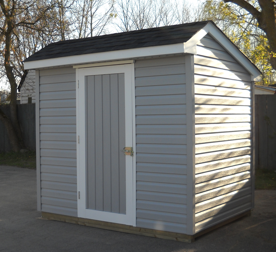 We can create a handmade custom-built shed for your lot. With us, the options are endless: windows, vents, lights, and your choice of floor. We can even match the vinyl siding of the shed to your RV. We are currently exploring internet options through Waterloo Wireless. For up-to-date information on offering internet at Whistle Bare, please contact us.